Better Business Bureau has launched BBB Scam Tracker – a free interactive online tool that has been available in the US since February and now for Canadians, as a means to provide consumers across North America with a place to report scams and fraud, and to warn others of malicious or suspicious activities. All 112 BBBs operating in Canada and the United States are now collecting information from consumers and processing data, which is shared with law enforcement agencies for use in identifying and prosecuting scammers. 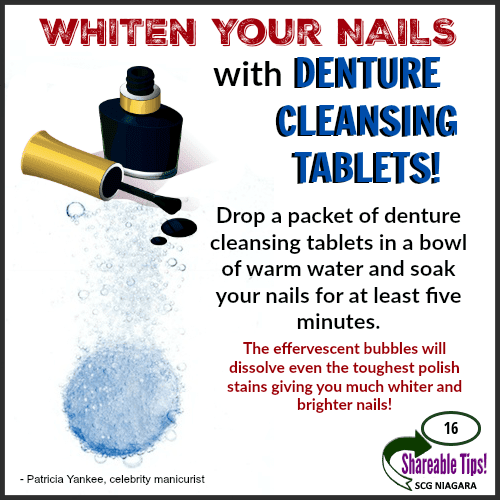 SHAREABLE Tip #16 - Whiten (and Brighten) Your Nails with DENTURE CLEANSING TABLETS! There are all kinds of tricks for whitening your nails – especially for those of you who like to use dark nail polish. This is just another awesome one I recently discovered. WHITEN YOUR NAILS with DENTURE CLEANSING TABLETS! Drop a packet of denture cleansing tablets in a bowl of warm water and soak your nails for at least five minutes. The effervescent bubbles will dissolve even the toughest polish stains giving you much whiter and brighter nails! 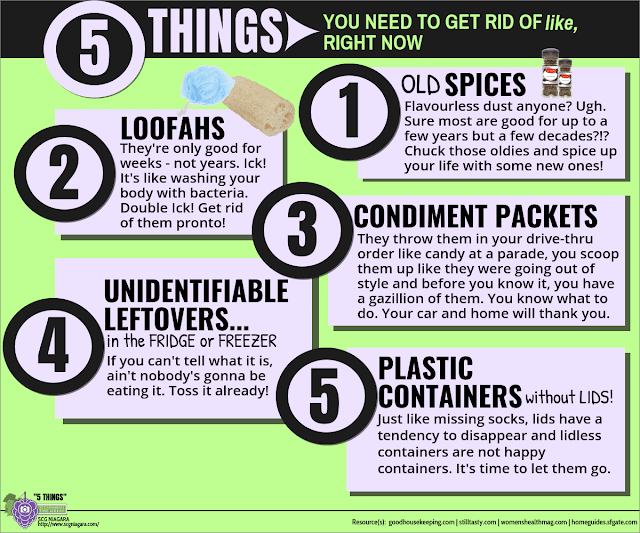 SHAREABLE TIPS are pinnable images I create of random tips I come across daily. So go ahead. Share it! Making life easier, one shareable tip at a time. 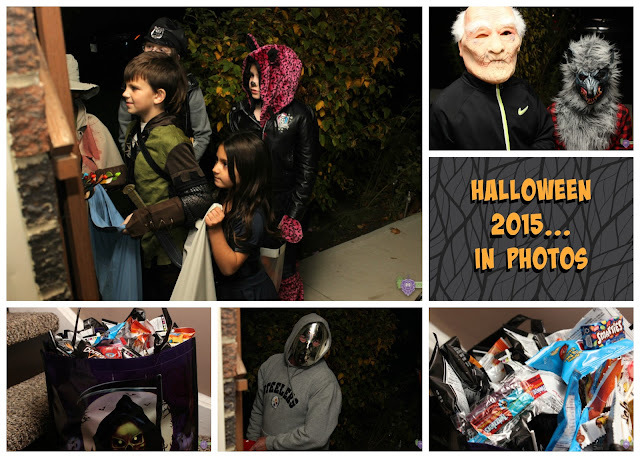 So how was YOUR Halloween Day? We can't remember ours. Just kiddin'! We managed to capture a few photos (and even a video of a neighbour's dog who didn't seem too keen on wearing his Yoda costume), of the celebrated day.